Verne & Ellsworth Hann hopes all the dads out there had a wonderful Father’s Day yesterday. Wow…how about those temperatures? We hit a record here in Cleveland! And today it’s even hotter! There is currently a Heat Advisory in effect that includes Cuyahoga County. The heat index will be around 100 degrees! It’s so important for those who are susceptible to heat-related problems, the elderly and pets to stay cool! What the best way? Air conditioning! Is your air conditioning in need of repair or are you interested in adding air conditioning to your home? Chances are, on a day like today, your thinking of how important your cooling system is. 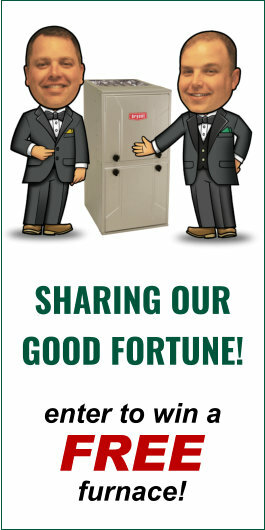 Give Verne & Ellsworth Hann a call at 216-932-9755 or visit our website at VEHbrothers.com to schedule an appointment. Verne & Ellsworth Hann, located in Cleveland Heights, has been serving Northeast Ohio for over 63 years. Residents of Shaker Heights, University Heights, Beachwood, Lyndhurst, Richmond Heights, Lakewood, and most of Northeast Ohio, including Geauga County, have enjoyed the comfort of whole home air conditioning thanks to the experts at Verne & Ellsworth Hann. Don’t suffer another day in this heat! Give us a call and start enjoying cool comfort even on the hottest of days!